The group's signature sound remains, but unorthodox arrangements and instrumentation keep things interesting. The album is full of this uprooting, this sense of comfort abandoned. It’s what makes this band essential still decades past its debut. Though Tindersticks is no longer angling for the pure dramatic sweep of its ambitious ’90s records, it remains a unique band, maintaining a sense of creativity (and making beautiful music) while working within limited themes. The Waiting Room is Tindersticks on ravishing form. For die-hards and newcomers alike, it's hard not to be drawn in by the lush facade it creates. The knack for subtlety that comes from spending one’s time occupying the spaces in between has served them well of late and is perhaps most transparently powerful on their tenth studio release. Now in their third decade the song remains the same, but on The Waiting Room Tindersticks still sound so out of time that ironically their music feels neither dated nor futuristic, it just is. And that’s exactly how it should be. There is a simple, traditional pleasure in its earthy, untampered warmth – it is an album to be ingested in one sitting; the kind of immersive, intricately produced music designed to be listened to on some extravagantly priced, high-quality audio player. The Waiting Room is another immensely satisfying collection from a band always able – even after personnel upheavals – to explore multiple styles while remaining ineffably themselves. The Waiting Room might be Tindersticks’ most subdued effort to date, but it still flashes the irreverence that enlivened efforts like The Something Rain and Falling Down a Mountain. Clocking in at just under fifty minutes, this is the most cohesive and engaging set the band has created. The lessons of their cinematic compositions have served the band well. This is a rich, warm, comfort blanket of a record, marbled with veins of darkness and light. The Waiting Room is organized around subtle cues, including a trio of minimalist instrumentals that draw a direct parallel to Tindersticks' distinctive soundtrack work. While The Waiting Room is a mixed bag, it's far more relaxed and sure of itself than Across Six More Leap Years was. 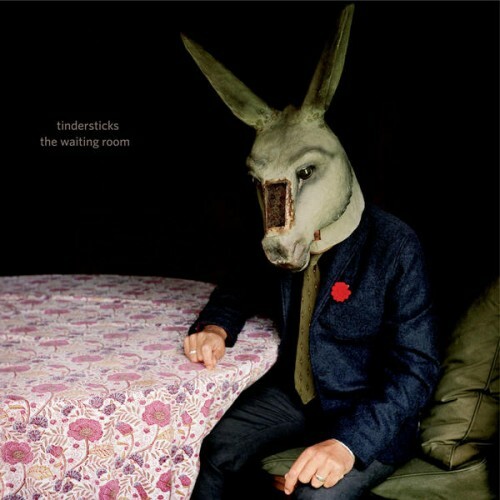 It's hard to find a band more moving at exploring longing, loss, and despair than Tindersticks, and The Waiting Room is such a vehicle. ‘The Waiting Room’ is reserved and considered, yet you still come out of the other end feeling like you’ve run the emotional gamut. oh man i dig these groovy tunes! That this is the sleepiest album of their career is impossible to deny; every song here carries the air of time winding down, whether it's last orders at the jazz bar or the final dance of the night in God's very own waiting room. This would make for a terrible sales pitch for any band other than the Tindersticks, but in their capable world-worn hands there's never any doubt they'll succeed in delivering that familiar welcome hit of subtle sad-sacks song craft. Purchasing The Waiting Room from Amazon helps support Album of the Year. Or consider a donation?